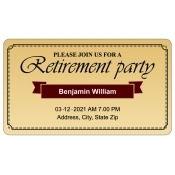 Retirement announcement save the date magnets are perfect for sending invites for your retirement day party. These personalized save the date magnets should be sent at least 3 months in advance if you expect their participation on your big day. Offered in various sizes and budget ranges, you can easily find the one which can incorporate your feelings, persona and other details. Perfect for bulk mailing or as individual gifts! Save on shipping anywhere within the contiguous USA. Retirement is a word which is associated with various bittersweet memories for a person. It is an apt term for signifying the end of a service life and signaling the beginnings of a quiet life away from the limelight. People love to spend their retirement years in solitude with their loved ones and friends by keeping the work pressures away. 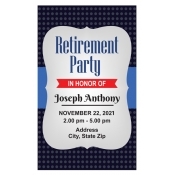 Announcing a retirement is not an easy thing because a person passes through myriad of emotions at a time. Over the years, people have relied on word of mouth conveyance methods or communication channels to announce their retirement. They did it through mobile messages, telephone calls, emails and letters. 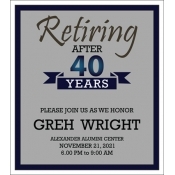 Retirement announcement save the date magnets help people to go creative and add a personal touch to their announcements. 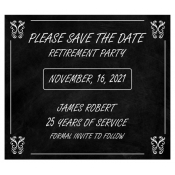 Retirement announcement magnetic save the dates pack high emotional value due to the gravity of the information printed on them. Free full color printing aids investors to print these custom magnets in the colors of their choice. They can use some persuasive visuals, contact information and other details to make their messages stand out. Perfect for sending mailers at least couple of months in advance by sealing in a suitable envelope! 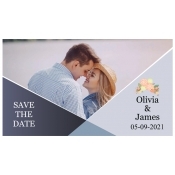 This selection features best-selling personalized magnetic save the dates crafted on various sizes of rectangle and square magnets. 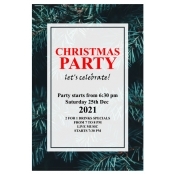 We offer a vast selection of customizable envelopes which can be availed blank or customized along with these magnets at slightly higher costs. 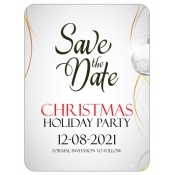 We offer free art setup, free online design proof and unlimited online mock-ups for each of these customized save the date magnets. We offer one the best wholesale pricing benefits in the industry. To know more about printing, customization and other details, feel free to contact us at 855-762-4638 or write to us at info@cmagnets.com.